We would like to send a massive thank you to everyone who took part in all the haunted happenings and helped raise £4,000 for Forever Manchester. 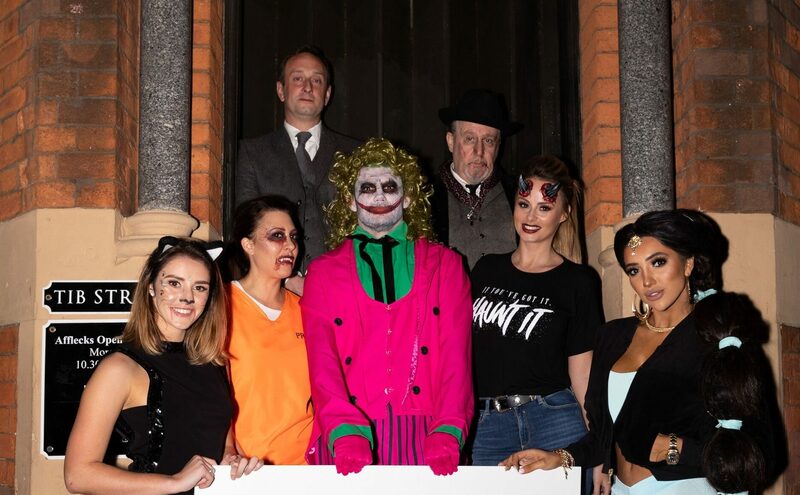 First of all, a group of local personalities survived the dark and depraved ghosts of Manchester on All Hallows’ Eve to help raise over £3,600 for Forever Manchester. Carl Austin-Behan was the most successful fundraiser with an incredible £710. Model and Businesswomen, Chloe Khan raised an impressive £600 thanks to a late flurry of activity from her social media followers. Big additional thanks to last-minute additions Rhian Sugden from Ilovemanchester.com and Mollie from Coronation Street, who still managed to raise loads despite stepping in at the last minute. Also to John Locke who made it out to DJ at Spooktacular after he was released and Steve Edge who led the field all week and didn’t want to come out whilst being dressed as a Victorian Ghost hunter. Sam Marshall held her own as a mere mortal up against our celebrity guests raising an outstanding £530. Check out our Twitter moment here for an insight into how the night went! #FMLockdown. Finally, over at Abode, Manchester’s finest dressed up and danced the night away at our annual Spooktacular party. 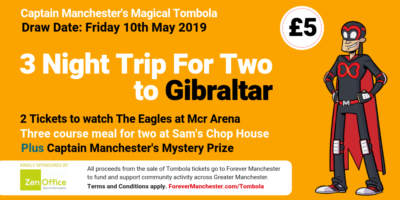 Organised The Mirror Ball’s Andrew Trott-Barn and his team, the party at which fancy dress is compulsory welcomed guests including Coronation Street’s Faye Brookes as Wonder Woman, Lucy Fallon as Harley Quinn from Suicide Squad, and Bhavna Lambachia and Gareth Gates.